Miami Book Fair is partnering with Sosyete Koukouy of Miami, Inc., to present the Little Haiti Book Festival on Saturday, May 27 and Sunday, May 28, 2017. This book festival, which features two days of vibrant cultural exposure to writers, booksellers, performers, and more, is part of Miami Book Fair’s ReadCaribbean programming. 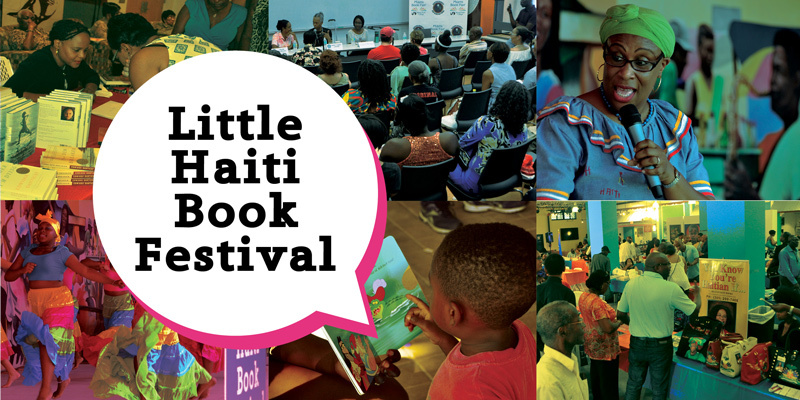 The Little Haiti Book Festival will feature authors from Haiti and the Haitian diaspora, literary panels and craft talks, workshops for writers, hands-on activities for children, a film screening, a dance workshop, poetry, dance and music performances, and more. This event, which is free and open to the public. Oct 14th, 2010. 8:00 p.m. Tigertail Productions is launching Tigertail, A South Florida Poetry Annual: Selected Collective, Poetry, Prose and Projects by The Miami Poetry Collective. Books & Books. December 28, 2010. 8:00 p.m. Tigertail takes great pleasure in launching the WordSpeak 2010 book and CD by Tigertail’s award-winning 2010 WordSpeak teen team.